Keep nighttime essentials at your fingertips with our Seneca Creek 3-Drawer Nightstand and its three spacious drawers framed by fluted columns. 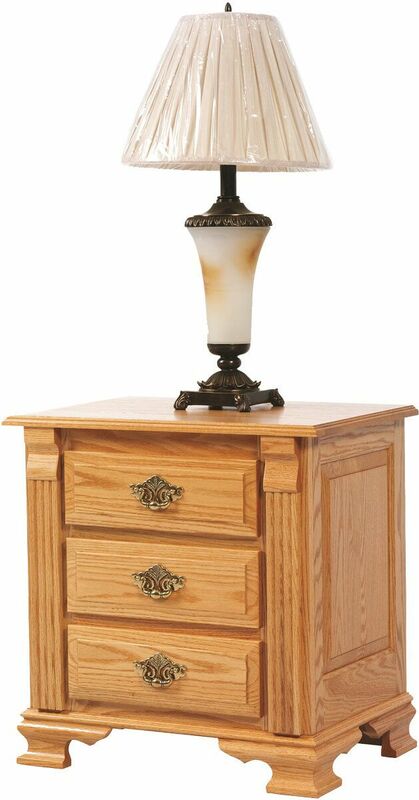 Place your table lamp on the Seneca Creek nightstand and enjoy well-lit, uninterrupted nighttime reading. The full extension, soft close slides included with your nightstand ensure each drawer extends fully and provides a controlled closure. 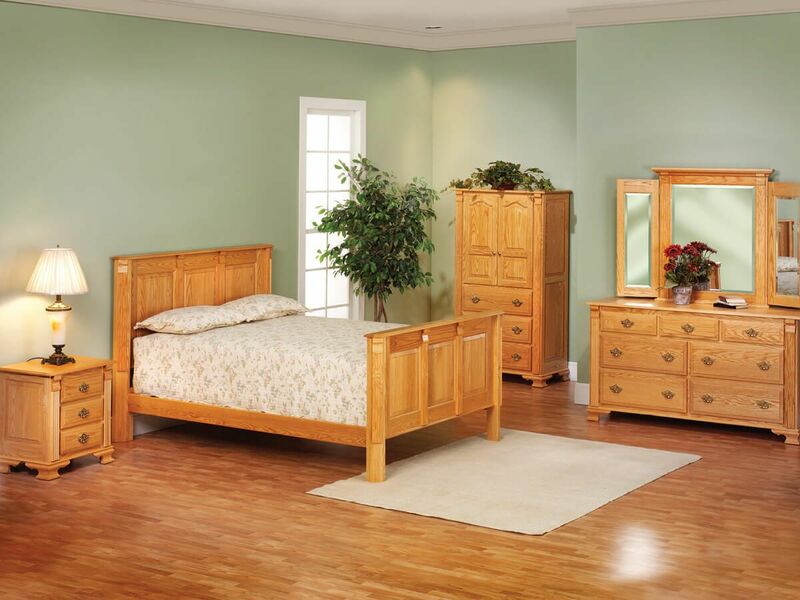 Part of our Seneca Creek Bedroom Collection, this Amish made piece is adorned with beveled drawer fronts, raised panels, and bracketed feet. Using the options menu, indicate preferred specifications for the Seneca Creek Amish Nightstand. 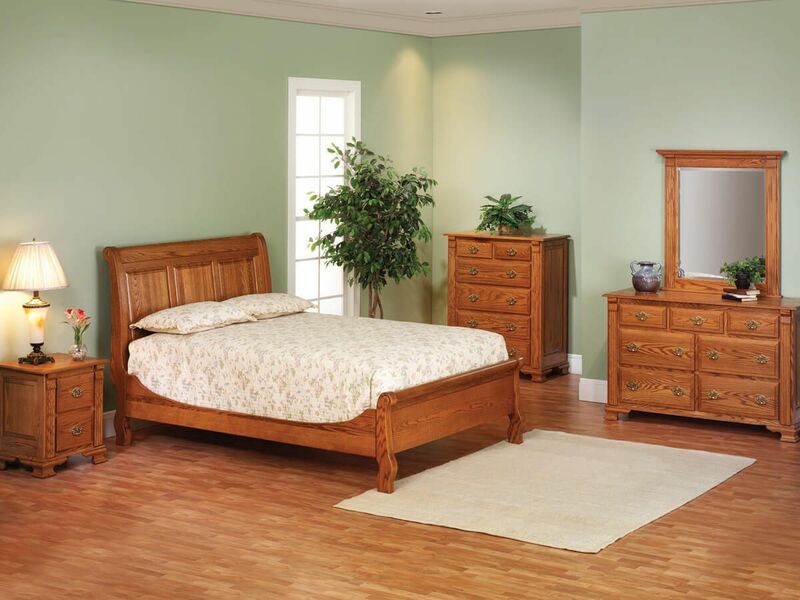 To obtain the pictured look on your own nightstand, choose Oak with our Sanibel finish.